Home Nigerian News Who Wants To Be A Millionaire Presenter Frank Edoho Welcomes 5th baby. 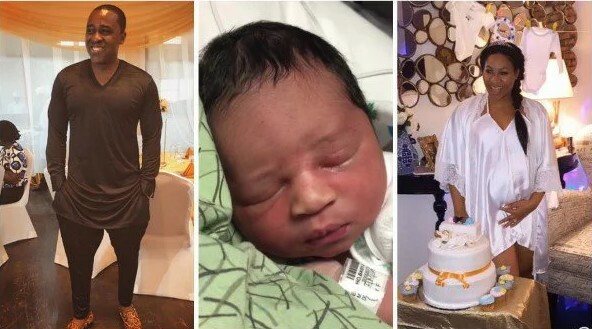 Who Wants To Be A Millionaire Presenter Frank Edoho Welcomes 5th baby. Frank Edoho, the presenter of popular Nigerian TV show and his second wife welcomed his fifth child on Wednesday, December 14. Frank Edoho was known to have carved a niche for himself, through the popular TV program Who Wants To Be A Millionaire. The newborn baby boy, Jayden Edoho was reported to be his 5th child and the second child wife his wife, Sandra Edoho.